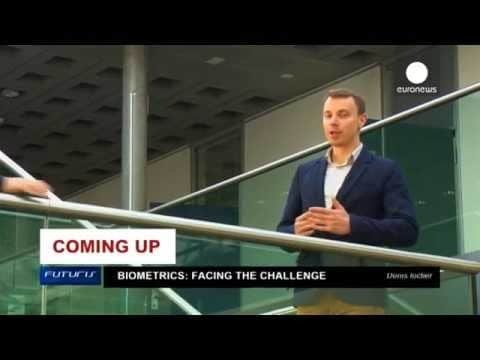 How reliable is biometric security? Computers recognize us by our faces, voices and fingerprints, but can we trick them by pretending to be someone else? In this edition of Futuris Denis Loctier finds out just how easily this can be done. Facial recognition is sometimes used instead of passwords for secure computer access. But if an intruder uses a mask, some biometric systems can be tricked into letting him in. Computers rely on complex algorithms to learn and recognize our faces. However, systems of biometric identification can be surprisingly easy to get around. Realistic masks are the latest challenge to facial recognition systems. Until recently, infiltrators used photos or videos of the targeted person’s face. Software developed by the researchers prevents such attacks. Researchers are working on a further feature that would analyse skin texture. That should allow their biometric software to distinguish a real face from a realistic mask. Fingerprint patterns are often considered a perfectly secure method of identification – but researchers at the University of Cagliari in Italy have shown that that is not always the case. A fingerprint left on some surfaces, such as glass, can be copied and reproduced within minutes. The quick and cheap process involves making a gum fingertip and replicating the skin pattern of the original. Incredibly, many fingerprint scanners don’t see the difference. “We can choose a fingerprint stored in the system and use its replica to get an almost perfect match,” says Marcialis. Despite the successes, keeping one step ahead of the fraudsters is keeping biometrics experts on their toes.